The Green family are trying to survive the war in their house in the country, but they’re not out of harm’s way. A wicked uncle is intent on getting his hands on the family fortune, while the children’s father is off fighting who knows where! Missing Dad is bad enough, but things get even worse when some horrible cousins arrive. Life may not be easy in the Green household – but they’ve got someone very special on their side. 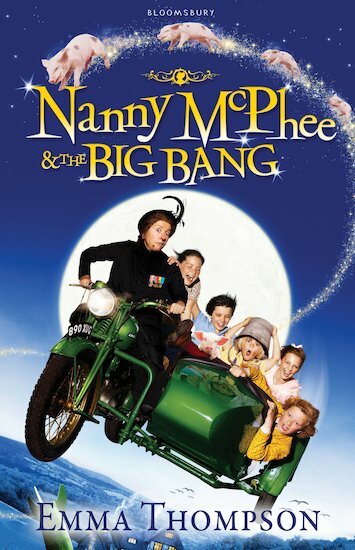 Thank heavens for Nanny McPhee! A brilliantly funny, captivating novel based on the new Nanny McPhee film, which comes with eight pages of colour images from the movie! I thought the movie was more interesting than the book.